I think it’s been determined that until scientists discover some crazy plant that reverses aging, the best elixir of youth we’ve got is water, right? Or I suppose it’s less about the water itself and more about the benefits that come from your body being appropriately hydrated. The benefits of staying hydrated cannot be overlooked, and you certainly can feel and see the difference in your body when you’re getting the hydration you need. Now imagine being 2-3x more hydrated after drinking 1 bottle of water than you typically would be. Your skin would glow and feel so supple, you could exercise for days, and your digestive system would flow smoothly, keeping extra lbs at bay. It’s possible, and all thanks to this crazy popular electrolyte drink mix that’s blowing up on Amazon right now: the Liquid I.V. Hydration Multiplier. I first saw this product being touted on Instagram and was curious – I’m a slave to my water filter and go back 8 or 9 times a day for fresh glasses of water. I have to pee CONSTANTLY, and generally get up twice every night. I’d love to able to drink a bit less water just to skip the constant bathroom line wherever I go. Sleeping through the night also sounds dope. I got the lemon lime flavor, which claims to double or triple your level of hydration in a single packet through it’s “Cellular Transport Technology”, and was surprised to find that even though I really don’t like flavored bevvies, this electrolyte drink, especially shaken into icy cold water, is surprisingly tasty and refreshing. So there ya have it. A bit of potassium, salt, and sugar make hydration through water that much more effective. Pretty cool science if you ask me. And athletes, listen up: there’s half the sugar in these babies than traditional sports drinks, but 3x the electrolytes! Read more about Liquid I.V. 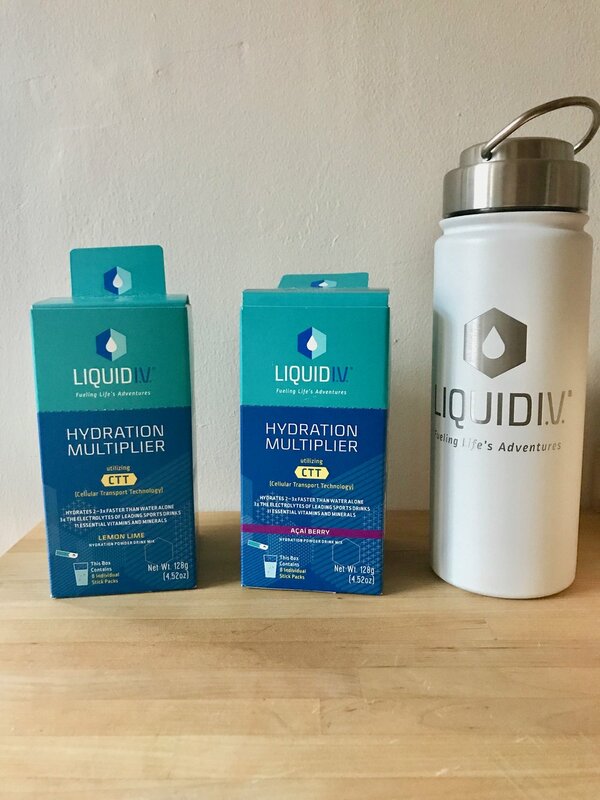 Hydration Multiplier here and to shop their products (they gave me a 20% off code LOBOS20 for ya). My latest wellness discoveries, recipes, love poems, and more goodies delivered straight to your inbox.